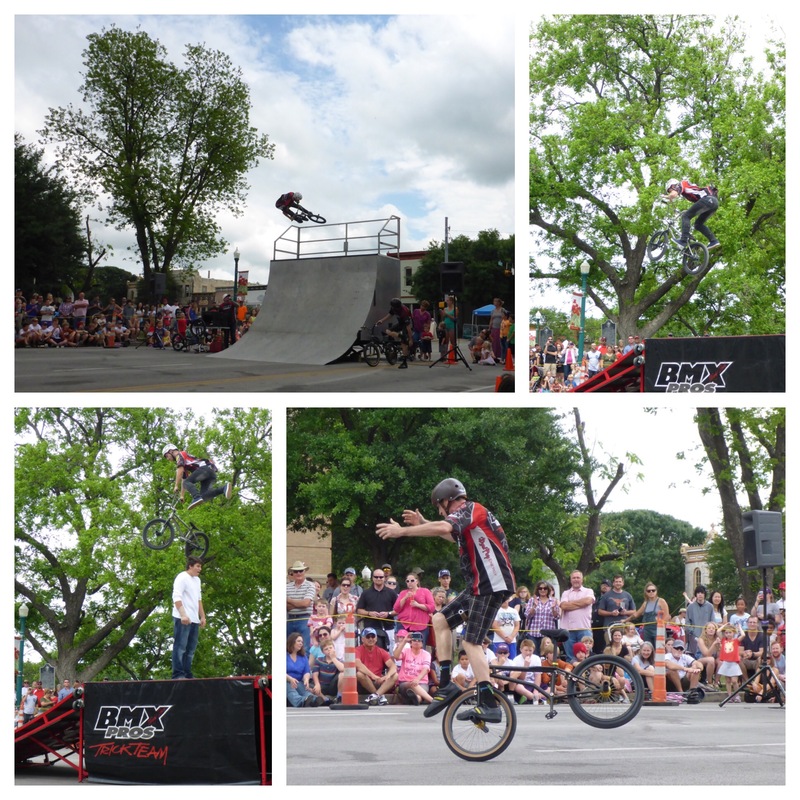 The BMX Pros Trick Team was most awesome this afternoon at the Red Poppy Festival. 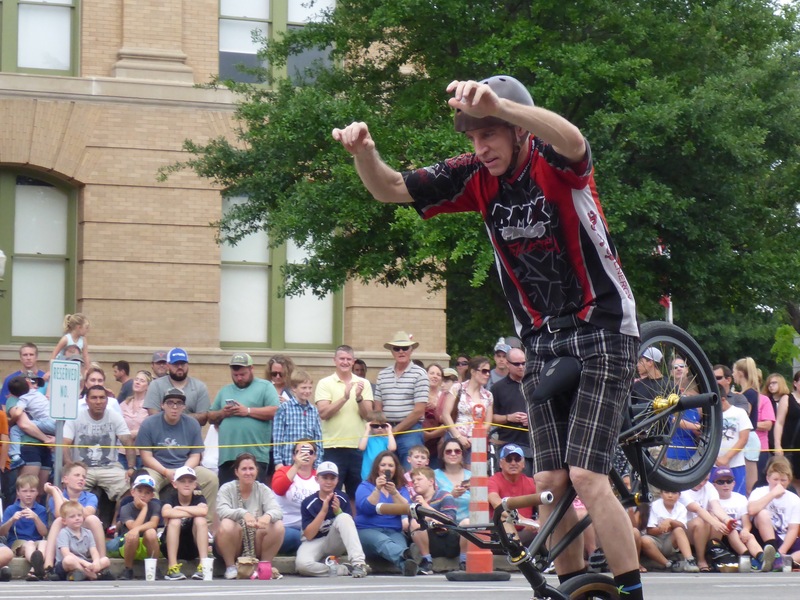 Go see them perform their bicycle stunts if they happen to be in a town near you. 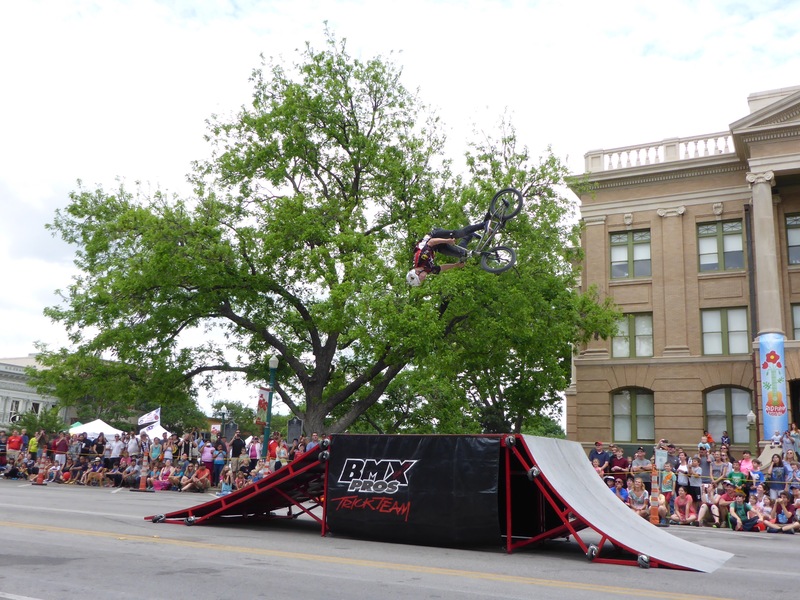 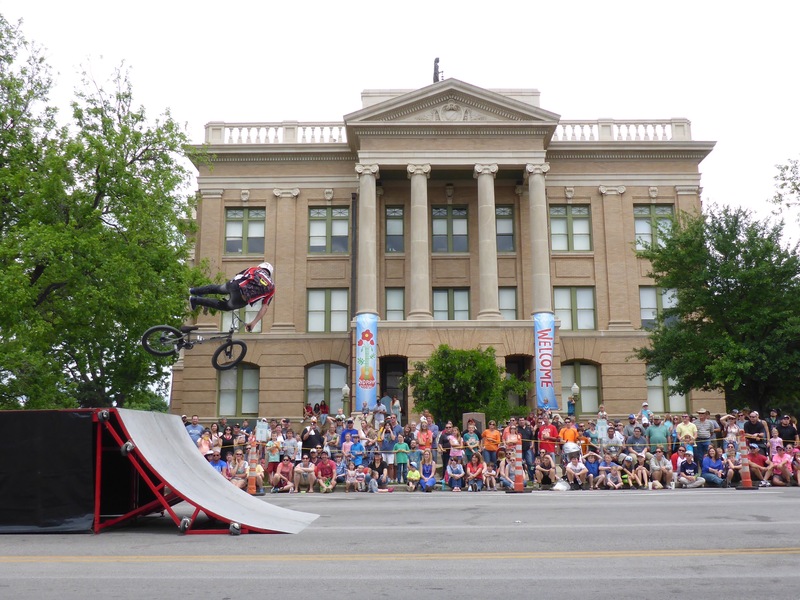 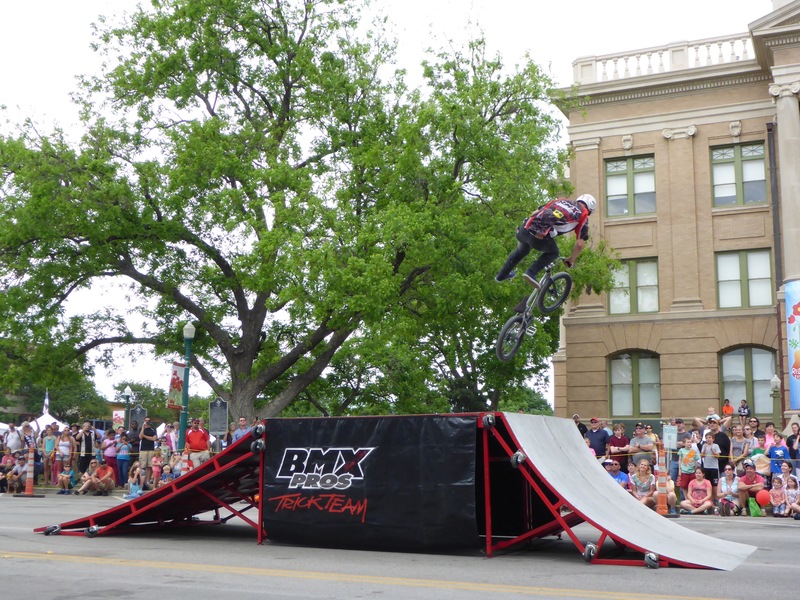 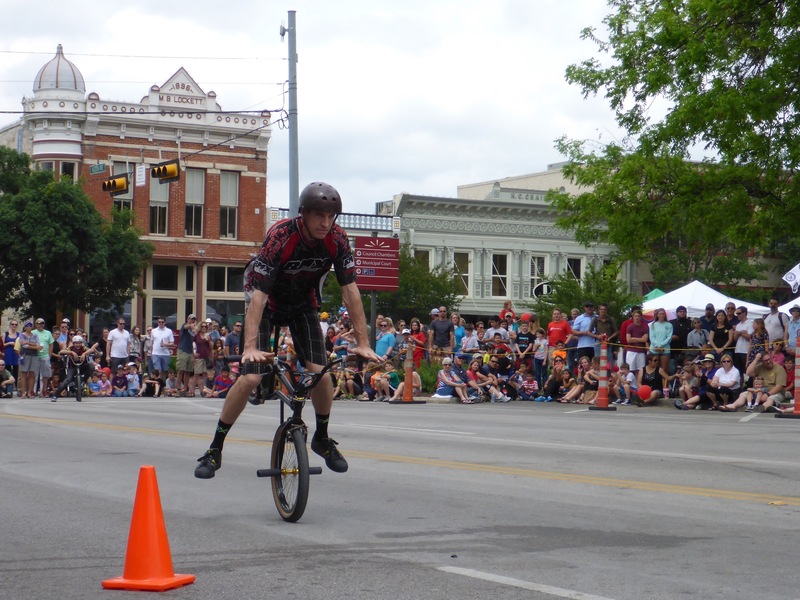 This entry was posted in Fun and tagged Bicycles, BMX, BMX Pros Trick Team, Collage, Downtown, Georgetown, Photography, Red Poppy Festival, Texas, Williamson County Courthouse.